Take on today's most challenging, graphics-intensive games without missing a beat. 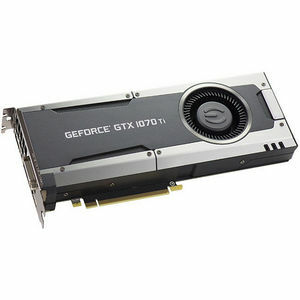 The EVGA GeForce GTX 1070 Ti delivers the incredible speed and power of NVIDIA Pascal - the most advanced gaming GPU architecture ever created. This is the ultimate gaming platform. Overclock your EVGA GeForce GTX 1070 Ti with EVGA Precision XOC and EVGA OC Scanner X. Take your EVGA GeForce GTX 1070 Ti to the next level with exclusive EVGA Precision XOC / EVGA OC Scanner X integration. With the click of one button, EVGA Precision XOC will detect, scan and apply your optimal overclock!